WE ARE SEEKING MALE & FEMALE CHARACTER LOOK-ALIKE PERFORMERS, TO HELP BRING OUR DC CHARACTERS TO LIFE AT OUR WARNER BROS. WORLD THEME PARK IN ABU DHABI – UAE. 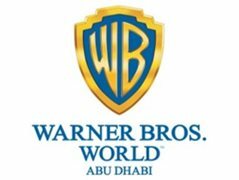 Successful applicants will be required to perform in Warner Bros. World Abu Dhabi. These performers will help bring our DC Characters: Batman, Superman, Wonder Woman, and many others to life. Ideal candidates will be charismatic, outgoing, and charming with good English skills; some roles require basic movement and a stunt performer background. FIXED TERM (Full-time) minimum 12 month contracts starting from mid 2019. Candidates must speak perfect AMERICAN English without an accent in most cases and be a minimum of 19 years old with a valid passport. Please bring a CV, photos and a Pen. Wear comfortable clothing as you will be asked to participate in a basic movement/dance combination. Successful candidates must be available until 6pm. Please note that we do not reimburse any transportation costs to attend the audition. Athletic Physique, stunt work experience & confident personality. Caucasian Male Actor.